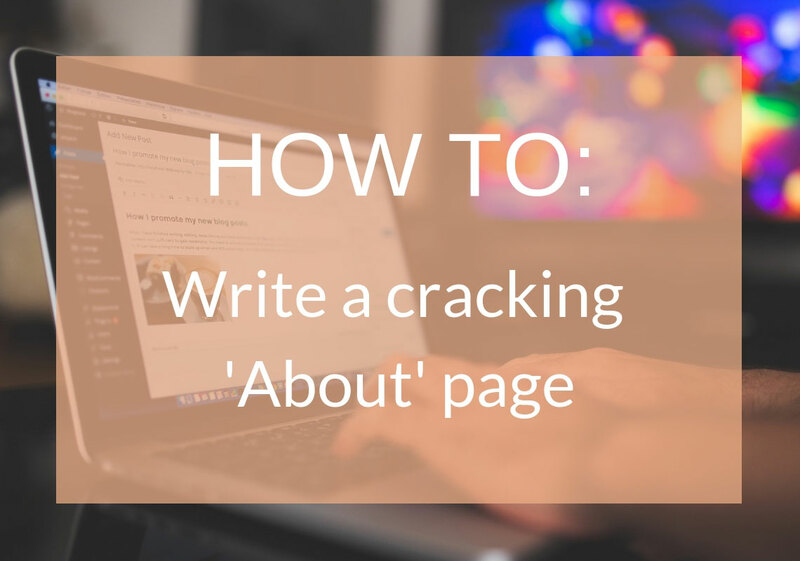 Why is your about page important? On nearly every website, the About Us page is among the most visited pages. Visitors usually reach there at the critical point of making a decision as to whether they will become a customer or not, so you have to make sure that whatever is on your about page is wonderful enough to captivate them into wanting to buy from you. We all want more people to buy from us, right?! What's wrong with what you already have on your about page? For the most part businesses use their about page to sing their own praises about what they do, how great they are and how wonderful their team members are but the main problem with that is - No one cares! 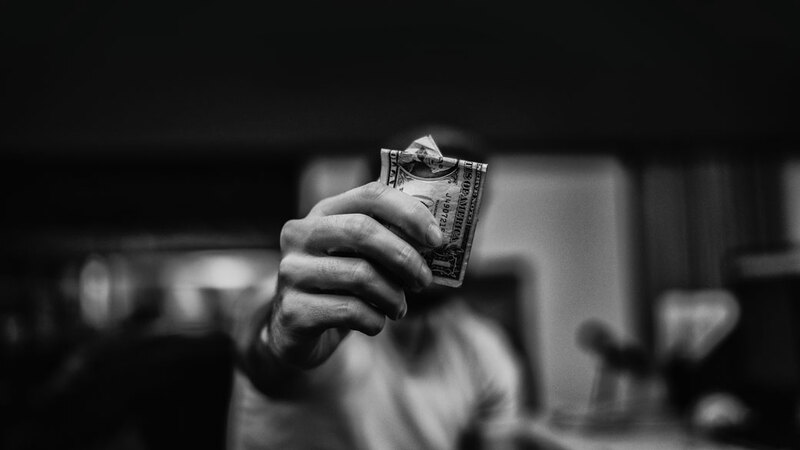 Clients care about themselves... they want to know how what you're selling is going to help them and improve their lives. The best about pages will communicate exactly that. They will tell the customer about the business, but in a way that will pin point the pro's of becoming your customer. So what can you do to jazz up your about page? First things first; take the pretentious prattle and the robotic sales pitches off your about page. To help you do this I have come up with 6 ways to help you combat the cringy content! I have said this before, but in a world that is becoming more digital and disconnected than ever, people are crying out for a personal connection. Your about page can give them just that. People love knowing what goes on behind the scenes and to know that you are not so different from them and that you're 'normal' and reachable. So be genuine and give them the peek behind the curtains that they're longing for, by just being human and attempting to make a connection with them just as you would in person. What sort of information will engage them? What do you have in common with your typical customers? Think about those things, write them down and get them on your about page. In 2018 now is the time to peel back the formality; get real and relatable. 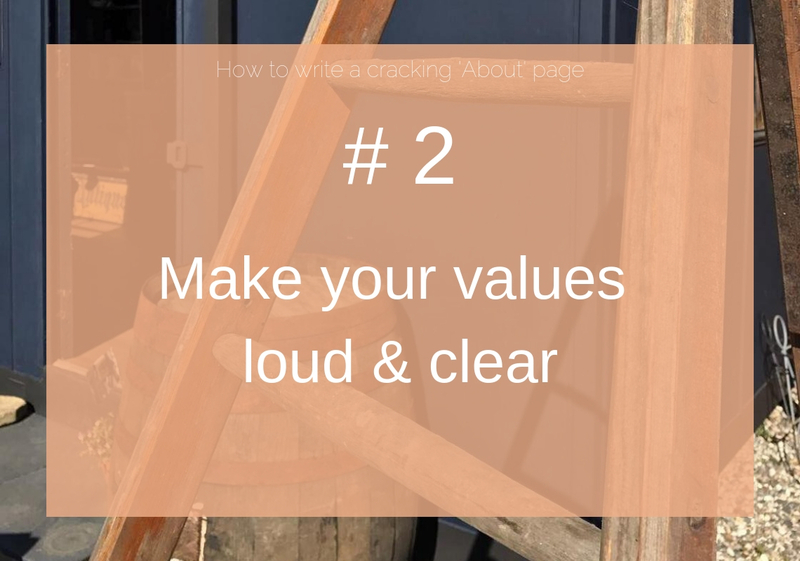 Your about page shouldn't just be a dry and grating list of what you do and what people can buy from you, it should convey your values in an interesting and compelling way. Explain why what you sell is important to you and let people know the difference you intend to make with what you do. Write something that has a bit of life and flow - you could maybe crack a pun or two, be light hearted and strike that happiness chord with the reader. Maybe relay a funny story to do with the business, a quirky fact on how you came up with it's name or maybe even how the business came about in the first place. You could include an interesting or unusual hobby that you have, be it competitive duck herding, extreme ironing or just knitting. You could also include a picture of you partaking in the hobby which then adds visual interest to the page. In an ideal world people would go to your website and read all of the information you put on every page, but in reality that just isn't the case. 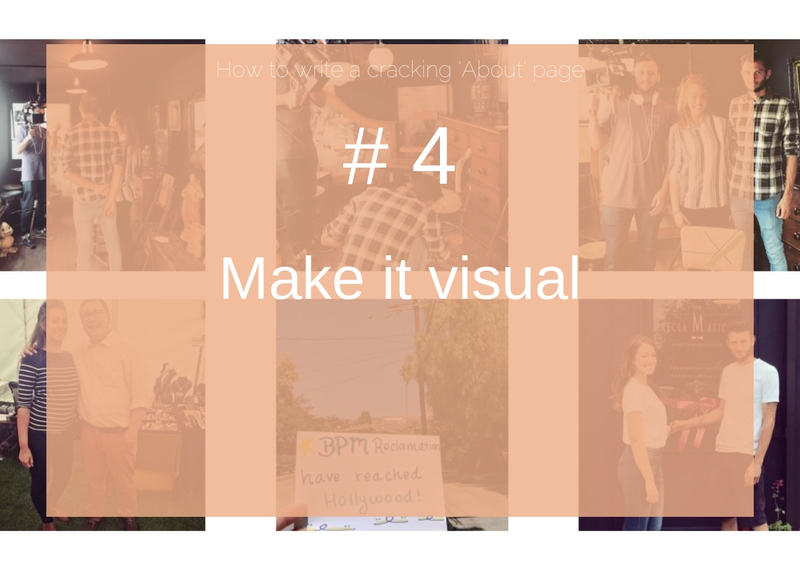 Many people skim text, pausing just long enough to get the gist and determine its relevance to their needs - so images are super important for capturing the attention of your visitors. Images can also make a much quicker impression on the visitor than text can, so it's safe to say they're quite important. I would always recommend using real images of you and possibly you in action, doing what you do best (whatever you do for your business), as opposed to stock photos. Your visitors are interested in getting to know you, not a cheesy catalogue-like model posing with the most fake smile they can muster and a photo shopped background. Images of your shop, workshop, studio, showroom etc work really well too. Again it's that behind the scenes effect that people love. Checking out someone you're going to buy from or do business with is like doing a full background check. 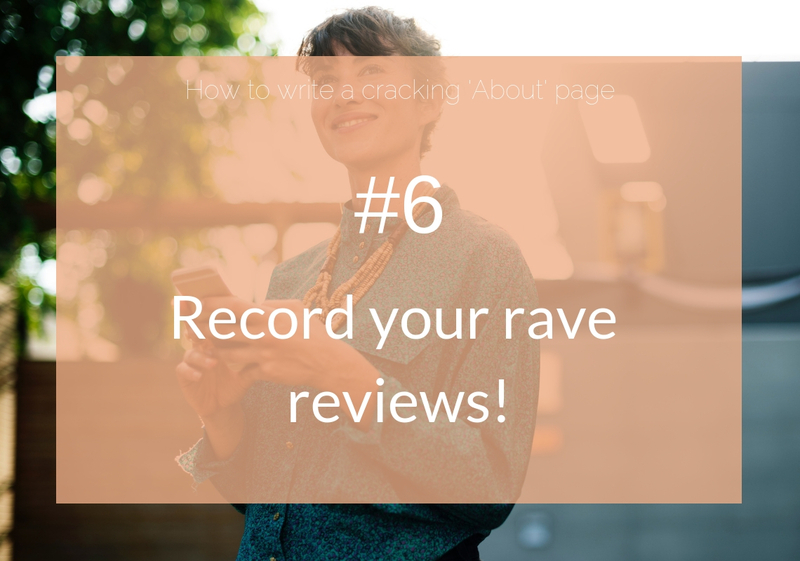 You read reviews, stalk their Facebook and Instagram profiles, have a look at their blog trawl their website and see if they are reviewed anywhere. 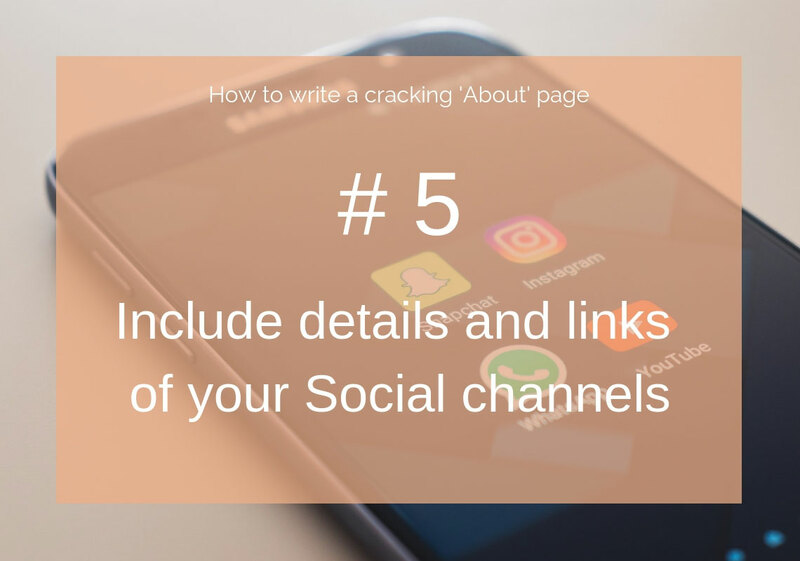 If you do that, then have no doubts that people are sorting through every bit of information they can get about you, which is why it's great to include your social channels on your 'About' page. Promote your social channels in your About Us write-up to give your potential customers a chance to see additional dimensions of your personality or your business's. It’s also a great way to add followers and convert the people sitting on the fence into fully fledged fans! 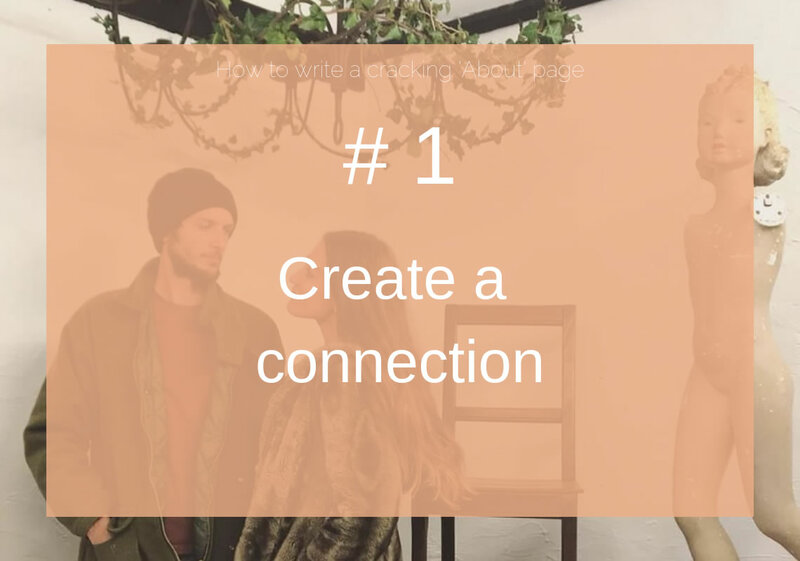 One of the best ways to gain new customers is through word of mouth, so what better way of doing that than capturing that on your about page. It might feel like bragging (which I advise against) but reading positive feedback and reviews straight from your customers goes a lot further than tooting your own horn when it comes to convincing your audience that you’re credible. Give these customers a chance to get to know you, once they know you, they'll like you and get to trust you and trust is the most important element between you and your customers. Once they trust you, they'll repeat their business and tell friends. Win, win! 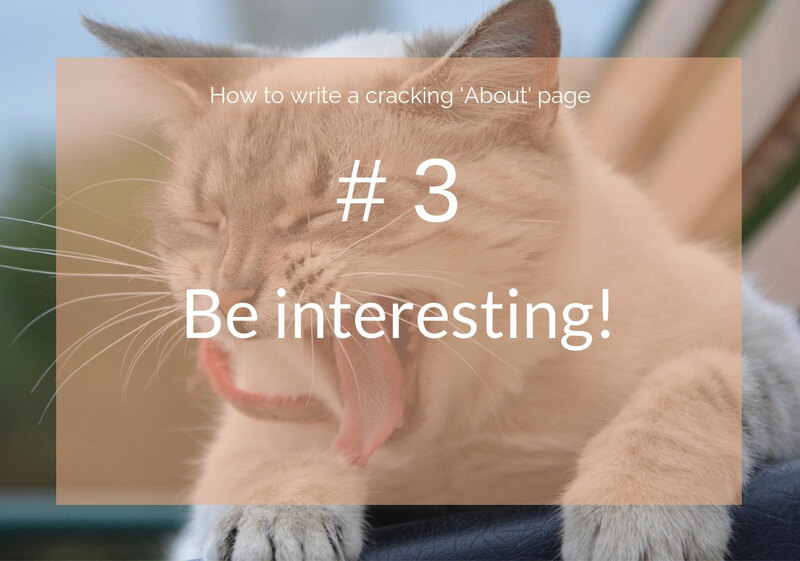 So what are you going to do to spruce up your about page?